Like site-built homes, mobile homes use either window units or central air conditioners. A split-system air conditioner, or central A/C, requires a condenser unit that sits outside the mobile home. The condenser and the interior furnace pump freon in and out of the home while the furnace's A-coil removes the heat from the interior air. The furnace's blower then distributes the A-coil's cold air throughout the home. Central A/C installation in a mobile home is the same as a site-built home, but electricity and space needs require additional attention before installation. 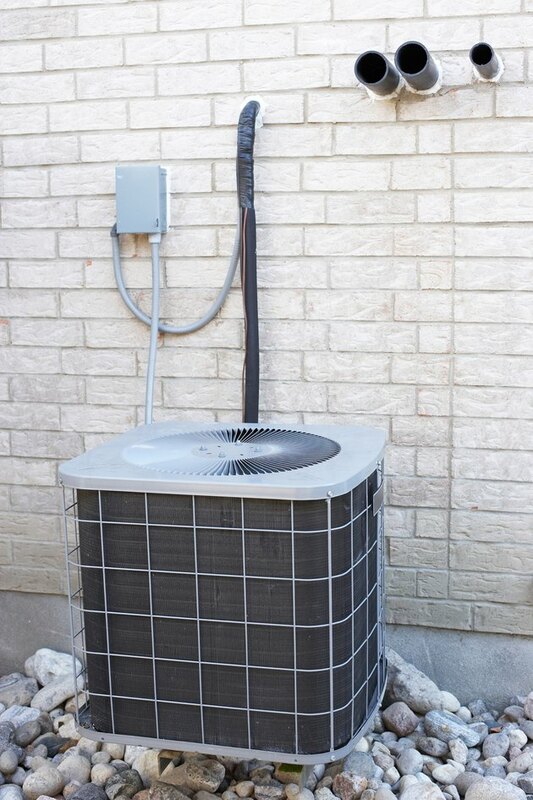 A central A/C condenser works with both mobile and site-built homes. Determine if the mobile home furnace is A/C-compatible and if the mobile home has an exterior 220-volt power outlet. An A/C-compatible furnace must have an A/C control box, an A-coil and a two- or three-speed blower motor, depending on the furnace model. Mount an A/C control box to your furnace if the existing furnace does not have this feature. Wire the A/C control box to the existing two- or four-wire thermostat. Refer to the installation instructions on the A/C control box, which vary by model. The control box adds a cool option to the thermostat and allows the furnace blower to work without activating the heater. Upgrade the furnace blower motor to a two- or three-speed model if necessary. A high speed blower distributes the cold air, which is heavier than warm air. Your existing furnace manual will list the speed of the blower motor. Refer to the installation instructions for the new blower motor, which vary by model. Install an A-coil in your furnace if necessary. An A-coil sits on top of the furnace blower or on the bottom of the furnace unit, depending on the furnace model. If space is a concern, purchase an add-on cabinet for the A-coil. Follow the installation instructions for the add-on cabinet, which vary by model. Leah Waldron is the head of Traveler Services at First Abroad, a gap year travel company based in Boston and London. As a travel, research and LGBT news writer, Waldron has publication credit on magazines and newspapers including "Curve Magazine," "USA Today," "The Sun Sentinel" and the "The Houston Chronicle." Waldron has a bachelor's and master's degree in creative writing from Florida State University.